Blog / Series / Get Started / How Long Do Freezer Meals Last? 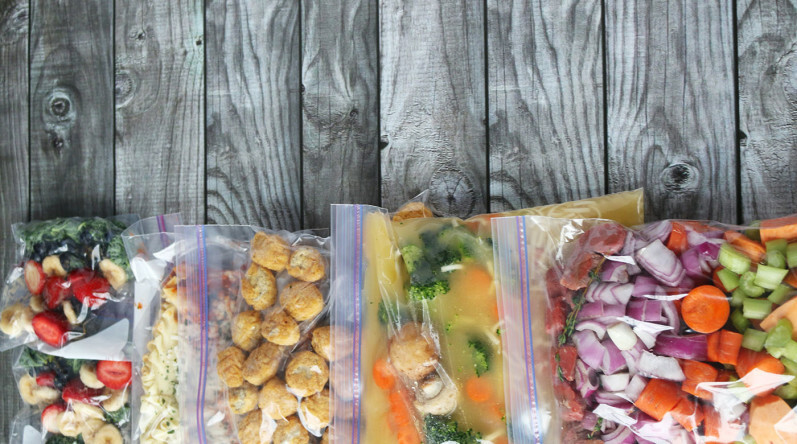 You do not want to spend whole day cooking (and a big chunk of your grocery budget) only to have it go to waste, so we have created a handy guide including some helpful resources to keep your freezer meals fresh. Of course, if you’re anything like me, you enjoy “cooking” from the freezer so much that meals are barely kept for more than a month before they get eaten! With freezer cooking it is rare that the food actually spoils. 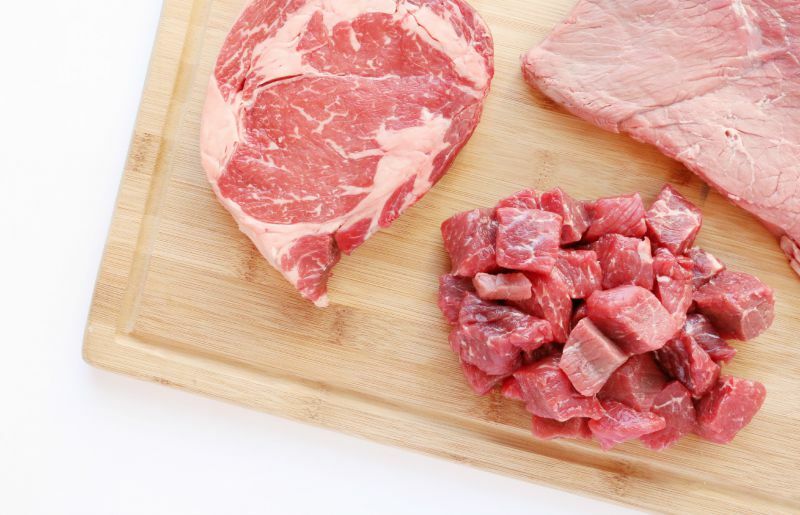 The USDA states “Because freezing keeps food safe almost indefinitely, recommended storage times are for quality only.” The microorganisms aren’t growing as they would be in a refrigerator. However, the longer you leave a dish in the freezer the less appealing it can become. Freezer doors are opened and closed, foods are moved around, packaging can let in some air, and after time the quality of the ingredients can decrease. But I have eaten meals that have been in the freezer for nearly a year and still lived to tell about it! 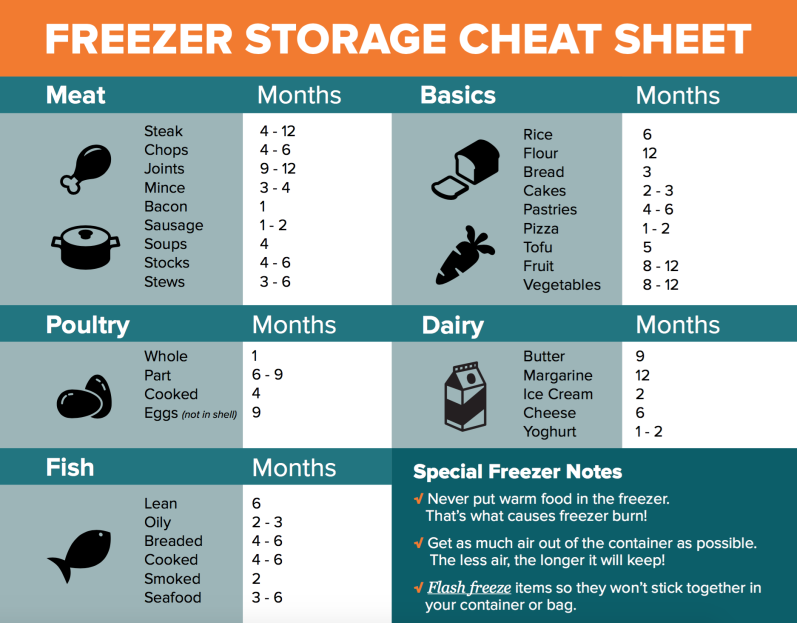 And if you need a quick, “for the fridge” resource, use this Freezer Storage Cheat Sheet! Download the Printable Cheat Sheet here! 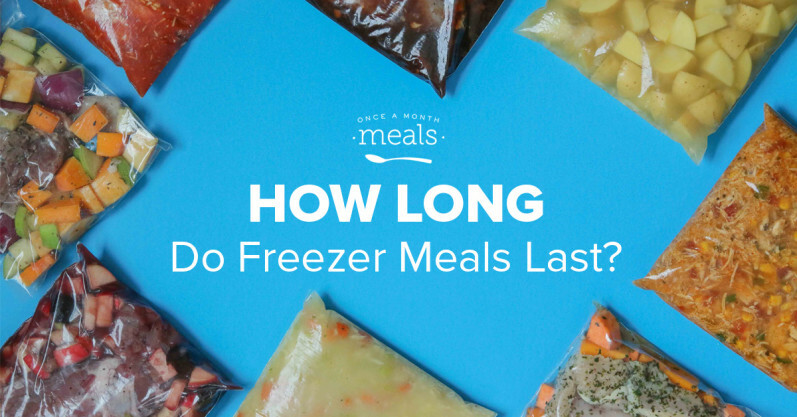 How long do you store your freezer meals? Any tips or tricks to share with the Once a Month Meals community? We’d love to hear them! Why can’t I print off Freezer Storage Cheat Sheet? Freezer Inventroy was good idea that I printed. Donna, with membership, it should be available to print off as a jpg from the secret handbook! You can check in with us on chat if you have additional issues with that.